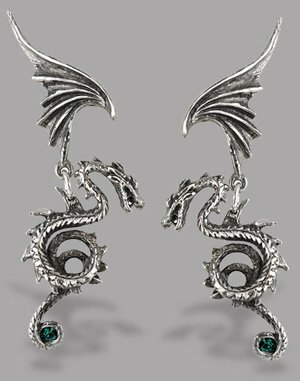 A pair of elegant regal pewter dragon, articulated at the wing joint as if they are flying familiars staying close to their owner and attracting enviable attention. 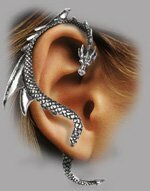 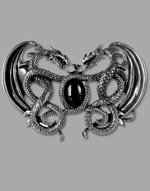 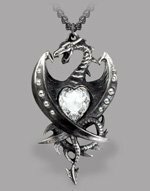 Each dragon is cast by master pewtersmiths in England, with Emerald Swarovski crystals held in their coiled tails. 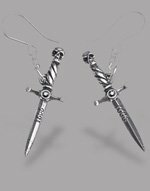 With surgical-steel posts.